Good day. I am a new arrival here in Texas. 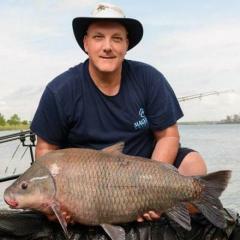 Retired Marine of 27 plus years, and looking to get back into some BIG Carp fishing. I live in the Houston area. 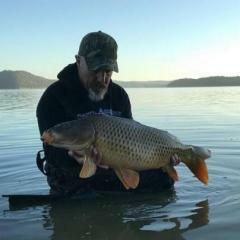 If there is any info you can share that will help me find good Carp waters here in my area, I would certainly appreciate it. I am not too far away from Lakes Conroe, Livingston, and Houston. I would image those bigger lakes would have bigger fish. Not sure about bank space, as I do not have a boat. Never Carp fished from a boat actually. At any rate, looking forward to hearing from you. If there are any contacts in the Houston area for Carpers, I would greatly appreciate that as well. Sorry about now getting back to you sooner. I'll check and see what members are in the Houston area for you.Haven't actually been fishing out your way to be honest. If you'll go to this site TPWD ,and put a lake in the search it with pull up the information you need for it. 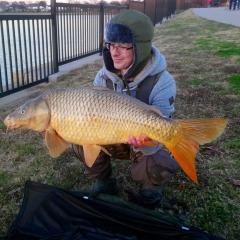 Looking to fish around San Antonio, TX area. any suggestions. 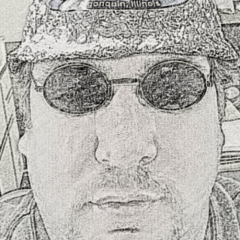 I am a new visitor to your forum. 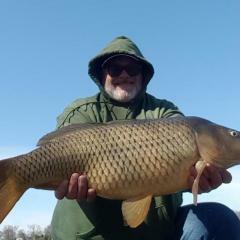 Haven't caught a Carp since about 1975 in Michigan. Plan to try it again here. So far including myself there are 10 that are saying they will be there for sure.There's a few maybes so far. No sign up list Christian. Thanks John. Alright folks it's time for my first fish in of 2016. It will be at Tradinghouse Creek. April 9, 2016 from 7am until you're ready to stop. Here are the coordinates for the location 31°33'07.4"N 96°57'36.6"W If you'd like more information on the reservoir here's a link Tradinghouse Creek Info Remember to bring sunblock and anything else you may need. Please let myself or Clayton know if you'll be attending. If you have any questions please feel free to ask. Alright folks it's time for my first fish in of 2016. It will be at Tradinghouse Creek. April 9, 2016 from 7am until you're ready to stop. Here are the coordinates for the location 31°33'07.4"N 96°57'36.6"W If you'd like more information on the reservoir here's a link Tradinghouse Creek Info Remember to bring sunblock and anything else you may need. Please let myself or Clayton know if you'll be attending. If you have any questions please feel free to ask. Hope to see everyone there. Due to the 80% chance of rain for Saturday and Sunday I think it's best to move the event to next weekend.Hate to do it,but rather have decent weather everyone can enjoy. I probably won;t be able to make it next weekend until Saturday afternoon due to work however.If next weekend isn't good for everyone we can move it to the first weekend of May. Please let me know what dates may work best for you. If the rain moves off in another direction then will keep it going this weekend.That just doesn't look like it will happen at the moment. Sorry for the disappointment. Just 10 days t go and with a little luck the weather will be nice and the fish hungry. Hope everyone can make it out for at least a day.